When Amsterdam overwhelms me, I travel about 15 minutes west to Haarlem. A gentler, more laid-back atmosphere takes over and I feel myself relax. I love wandering around the streets and along the banks of the Spaarne river that runs through Haarlem. One of my favourite spots to spend time is the De Adriaan windmill. 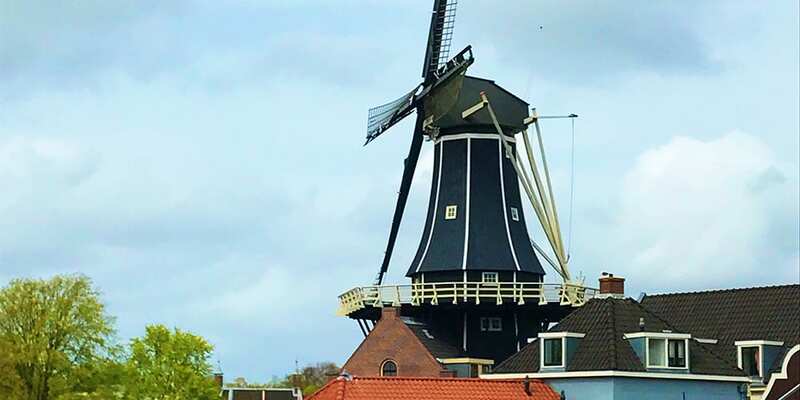 One of Haarlem’s most iconic sights, the windmill has an interesting history. In the 1500 and 1600’s a defence tower was built to defend against the Spanish and English but it fell into disuse. The defence tower or Goevrouwetoren and was sold by the Municipality Adriaan de Booys in 1778. De Booys built a windmill on the foundations of the old Goevrouwetoren and started to mill seashells and oak bark. The windmill also ground tufa – a time of limestone – into trass which can be used in cement. This was a shrewd move of the part of de Booys. Haarlem’s traditional wooden houses and buildings kept burning down and more and more brick buildings were being built to replace them. Cement was needed and therefore there was a demand. De Booys faced competition from a cement importer and it was not as lucrative as he had hoped. De Booys sold the mill in 1802 to a tobacco merchant, Cornelis Kraan. Kraan already owned a tobacco shop and it was a logical extension to make produce it as well. The windmill was converted to grind tobacco to make snuff which, in the 1800’s was enjoyed both by Louis Bonaparte and much of the gentry. In 1865 the mill was changed again and a steam engine was put in place by owner, this time to mill corn. In 1925 the windmill was bought by the Dutch Windmill Society to stop it from being demolished. On 23 April 1932 a catastrophic fire broke out and despite the efforts of the fire brigade, the windmill burnt down. 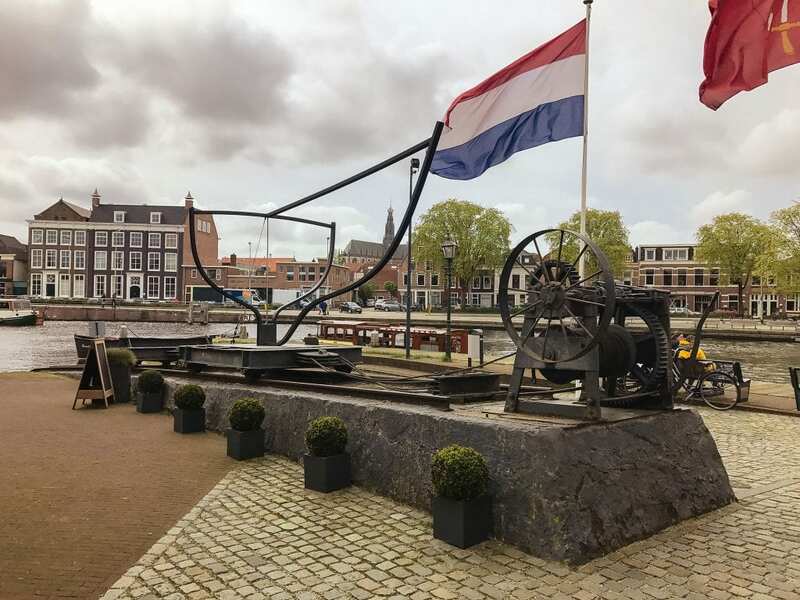 The townspeople of Haarlem were shocked as their landmark had disappeared. The citizens of Haarlem immediately started raising money to pay for the rebuilding and many attempts were made to build it, but all failed. 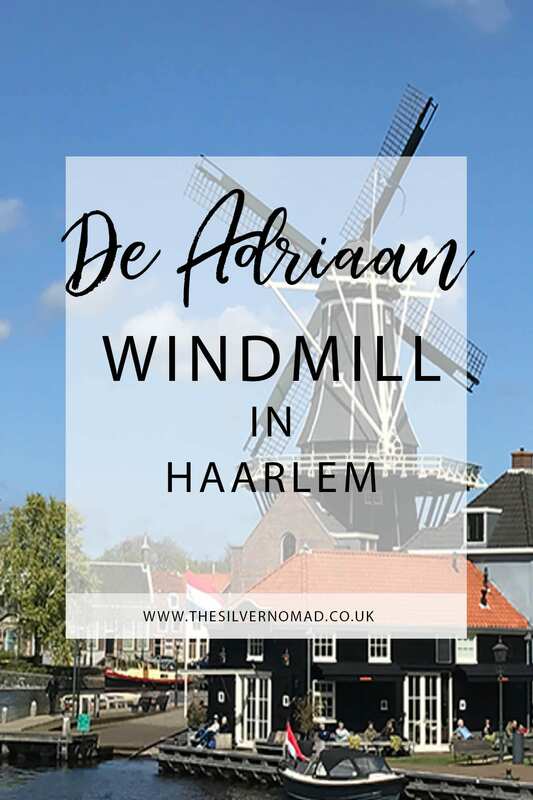 Finally on 21 April 1999, thanks to the people of Haarlem who raised 2.5 million Guilder, the rebuilding of the de Adriaan mill started. Seventy years to the day that it burnt down, the de Adriaan windmill reopened on 23 April 2002 as a museum. 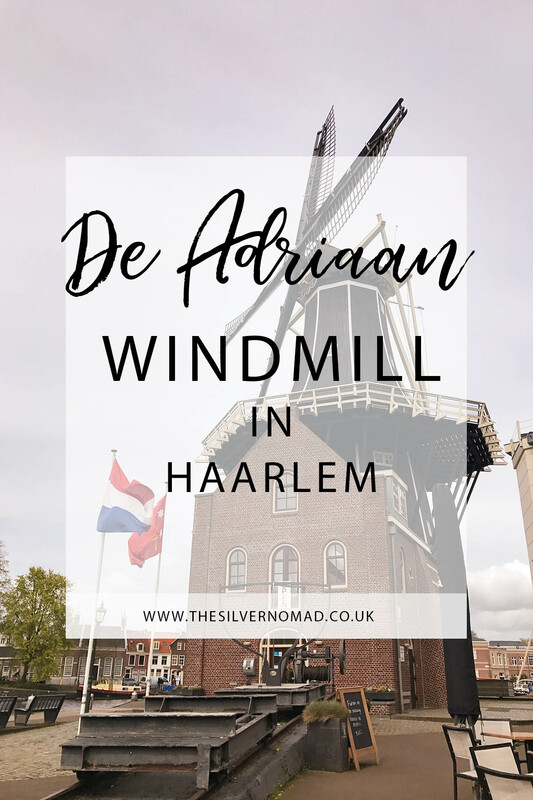 Although de Adriaan windmill is fully functional and able to grind grain and corn, it is not often used and the grinding is mainly used to show tourists (check with the museum when this is happening, but normally holidays or Saturdays). As you enter on the ground floor there is a permanent exhibition about the windmill and history of Haarlem itself. You can buy some souvenirs, tea or coffee and your tickets for the guided tours. 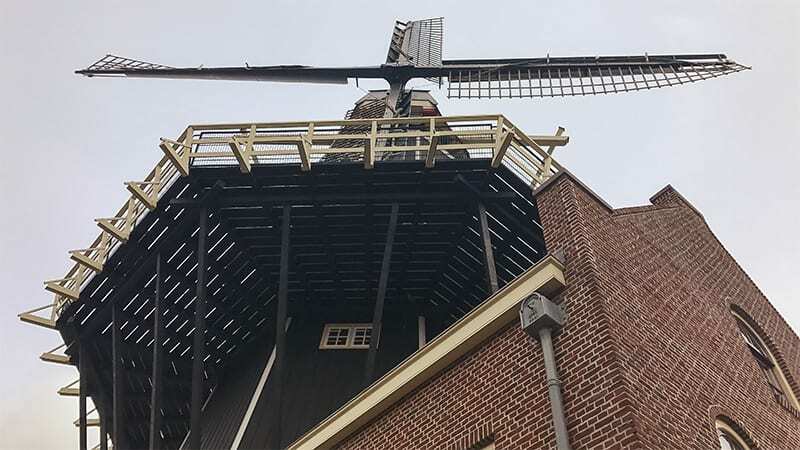 On the upper floors are given over to an audio-visual tour of the windmill and the Spaarne river it sits beside and technical aspects of the mill. 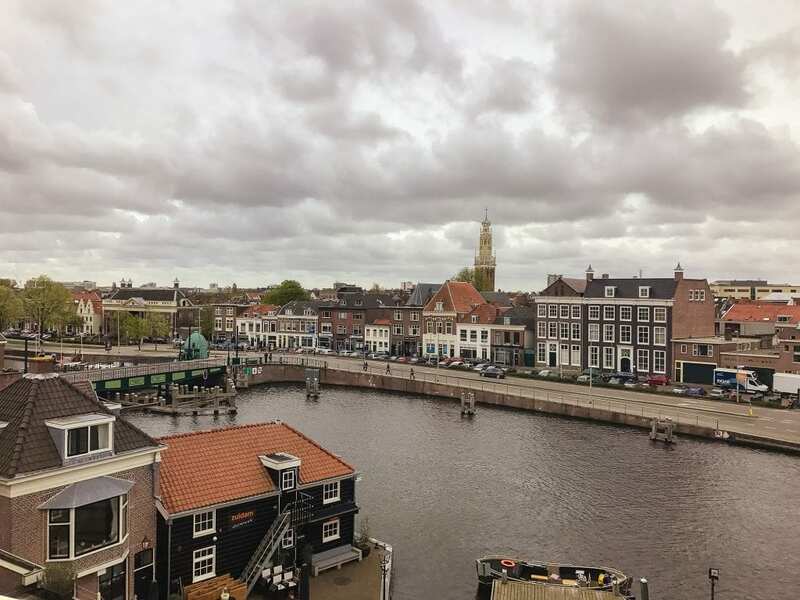 The 45 minutes guided tour of the windmill is not to be missed, with exhibitions of the windmill through the ages and the chance to experience the 360° views of Haarlem from the viewing platform 12 metres up. With 75 steps to climb, some on stepladders, it is sadly not for disabled visitors. Our guide, Felice, was very knowledgeable and peppered the tour with interesting and amusing facts, and even offered us some candy! For other tours in Haarlem, check out Get Your Guide’s page on Haarlem. I funded the trip to Haarlem myself. I was not required to write a positive review. All opinions and photographs are my own. No photographs may be reproduced in any manner without my written permission. This post contains affiliate links and I will earn a small commission if you purchase through these links. I use all of the products listed and recommend them because they are products and services that I have found helpful and trustworthy. Learn more on our Privacy Page.